The more than 3500 sprouts growing out of a glasshouse in Shenton Park are destined to be part of Perth’s biggest vertical garden, which will embellish the new Perth City library. Claremont landscaper and project director Martin Cuthbert said he looked forward to the 13m-high garden being finished early next year. 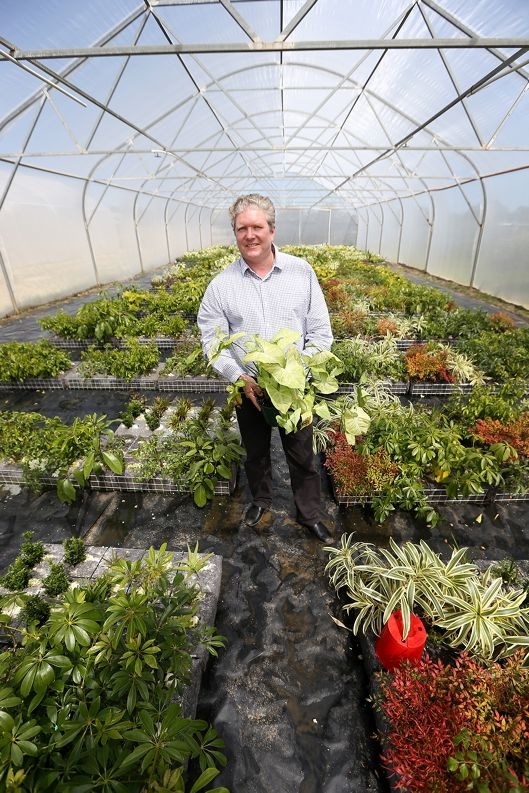 ‘This is a really exciting project for Perth because it brings together an iconic building in a new, soil-less medium where plants are grown in a vertical space using the latest design and technology,’ Mr Cuthbert said. The plants have been growing in horizontal racks in the glasshouse since July and will start to be installed on the new library in November. ‘Green roofs and vertical gardens are becoming increasingly popular and help the world re-invest in its natural beauty,’ Mr Cuthbert said. The world’s largest vertical garden is more than 2000sq m and was installed on Singapore apartment block earlier this year.